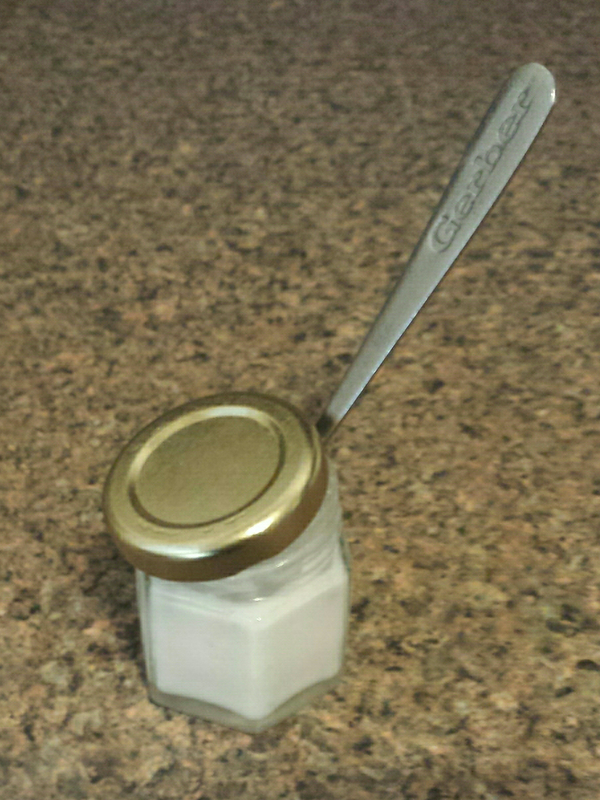 I used an old baby food jar to store it and an extra baby spoon as my scoop. I expected this to be a difficult transition because of the difference in flavor and texture. It actually hasn't been bad. The coconut oil provides a hint of flavor, just enough to overpower the baking soda. My teeth feel clean after brushing, and it's so easy to use. I still use a fluoride mouthwash rinse at night, but this has completely replaced my toothpaste. I'm converted! Making your own toothpaste is an easy, inexpensive zero waste lifestyle change. With some essential oil for flavor, I bet this would taste even better than store-bought toothpaste!